To thank St. Louis Redheads for their years of support, Sammy is giving away all general admission lawn tickets for free while raising money for local charities! To watch Sammy's thank you to the San Louis Redheads click here! I have already bought tickets for this concert and just waiting to watch live concert. 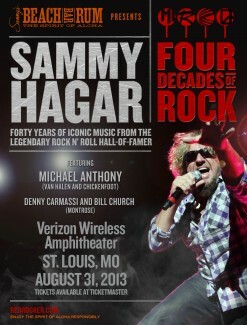 St. Louis and Sammy pulling together the help the comunity. What a beautiful thing. Thanks Sammy!